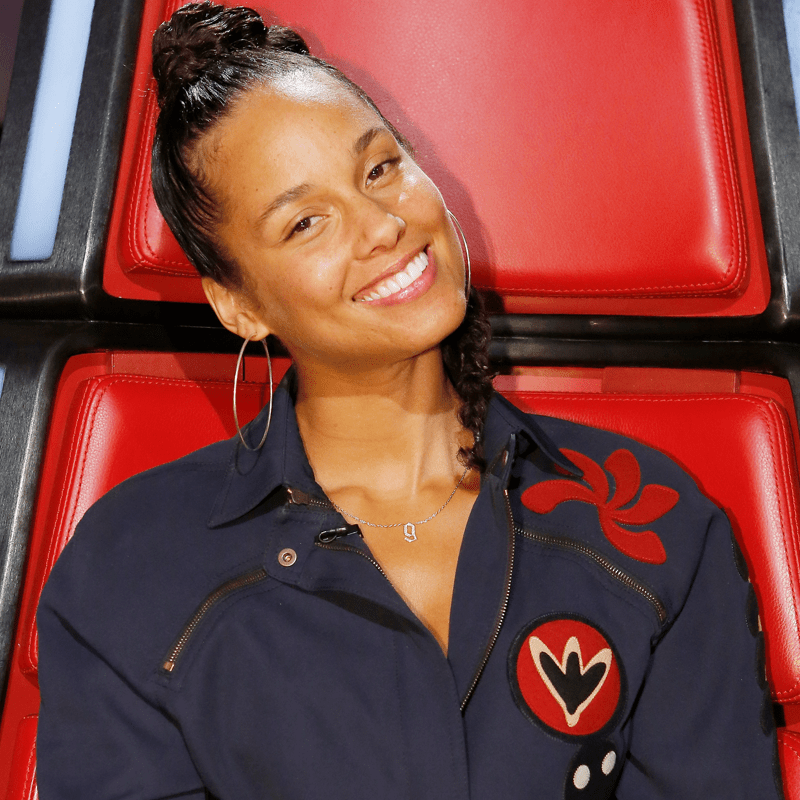 Home » All eyes are on Alicia Keys as “The Voice: Season 11” knockouts conclude! Tonight, it was the last Knockout Round performances of Season 11! The last steal belonged to Alicia Keys! Which artist did the former Team Pharrell advisor steal? Read on to find out. Blake paired Austin Allsup and Gabe Broussard together. Austin was elated to see key advisers Tim McGraw and Faith Hill. As Blake shared his history with Austin with the country couple, Austin got down to business and sang Tom Petty’s “Breakdown.” Tim called Austin “authentic” and liked everything about them. Meanwhile, Gabe Broussard picked Bruno Mars’ “It Will Rain.” In all honesty, he blew his chances to get into the Live Playoffs because his vocals were warbly and all over the place. I also felt that Gabe’s nerves evolved into pitch issues. Austin, however, took “Breakdown” to a whole another level of excellence. His swampy vocals were fantastic pieces of ear candy and the way that he expressed himself throughout the performance was exactly what I look for in any performer who participates on this show. I am looking forward to watching Austin perform in the Live Playoffs. As Miley walked Gabe off the stage, she prepared Darby Walker and Maye Thomas together to determine who was going to occupy the Alternative/Indie rock artist on her team. Darby freaked out when she saw Tim and Faith and shared several personal stories with them. She chose Florence + the Machine’s “Shake It Out, ” and I got chills even in the rehearsal. Maye picked Tegan & Sara’s “Closer” for her Knockout performance. I liked Maye, but there was something about Darby’s performance that captured and kept my attention all throughout the performance. Good luck with the live playoffs, Darby! Adam paired Brendan Fletcher and Nolan Neal together for their Knockout Round. The former bartender has blossomed over the past few weeks and when he tackled the Allman Brothers’ “Soulshine” and it was probably one of the best Team Adam performances this season. Brendan gave a strong case of goosies, and I loved hearing his raw undertones. If Brendan played his cards right, he might be one of this season’s dark horses. Brendan’s opponent, Nolan Neal, countered with Steven Tyler’s “Love Is Your Name” and boy did he made the former American Idol judge proud. While I am happy that Brendan advanced to the Live Playoffs, I am sad that Alicia did not steal Nolan. I hope someone signs Nolan in the future. Alicia’s final Knockout pairing was Sa’Rayah and Michael Sanchez! Sa’Rayah chose Chaka Khan’s “Ain’t Nobody” for her battle. Alicia was impressed that she was able to take a page out of Ms. Khan’s playbook and Faith compared her to both Aretha Franklin and Tina Turner. One-chair-turn Michael Sanchez impressed me with his performance of Bill Withers’ “Just the Two of Us” for his Knockout Round performance, I got chills. While this was his second Bill Withers track of the season, he showcased why he was an excellent storyteller, and he delivered one of his best performances so far on the show. Sa’Rayah countered with Chaka Khan’s “Ain’t Nobody.” While she is a great performer and those high notes rocked the Universal Studios Hollywood soundstage, I thought that she had a teensy problem with breath control that almost caused her to lose this battle. While I was a little surprised that Alicia chose Sa’Rayah over Michael, I have a feeling that his journey is not over just yet. Blake’s last Knockout paring was Dana Harper and Karlee Metzger. The Dallas native chose James Morrison’s ‘You’ve Give Me Something,” and her smooth and warm voice drew me in, and Tim McGraw stated that she made the performance made so easy. However, Faith challenged her to be intimate and then explode in her performance. Karlee, countered, with her interpretation of Kelly Clarkson’s “Invincible.” Blake was a little worried about Karlee’s diction and asked her to find a place where she could breathe. During the Knockout, Dana’s full voice filled the room and put a smile on my face. However, I had to side with the four-time Voice champ about Karlee’s song choice. Her voice was all over the place, and it was probably the worst Kelly Clarkson cover I ever heard. Thankfully, Blake went with Dana, and now she will be representing Team Blake next week in the Live Playoffs. The final battle of Season 11 belonged to Team Miley. She paired her two rockers together: Aaron Gibson and Josh Halverson. Aaron sang Thomas Rhett’s “Die a Happy Man.” I am euphoric that Aaron showed his range and decided to tackle a country tune for this round because I would buy any song that he released. Meanwhile, Josh has slowly grown on me all season, and I have to give him props for having the cajones to cover Tim McGraw’s “Whiskey and You” in front of Tim. Josh gave Miley goose bumps, and Tim advised him to stay connected to what he believes in that song. Josh kicked off the battle and started the song a cappella before strumming his guitar. Just like Sundance did last week with his cover of Miley’s “The Climb,” Josh let his vocals shine through, and it was one of the only performances of the season that I saw Miley give one of her artists a standing ovation. Meanwhile, Aaron stole the show with his performance of “Die a Happy Man.” He gave me a very sturdy John Mayer vibe that blew both the audience and the coaches away. While Miley chose Aaron to move on to the next round, Josh received Alicia’s last steal and the final spot in the Top 20! There are two twists coming on Monday. One is going to disappoint some viewers, the other one has a catch.